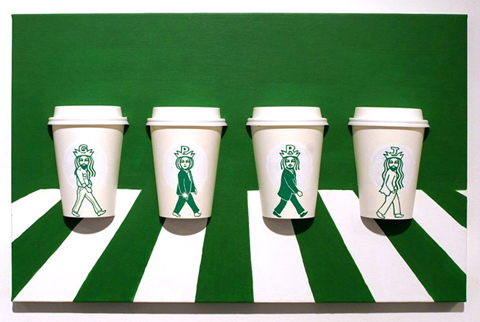 Korean artist Soo Min Kim‘s canvas is a plain paper cup. 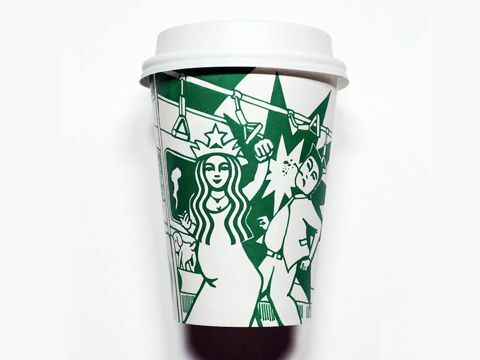 Equipped with a dark green marker, he incorporates the Starbucks mermaid into all kinds of quirky scenes. 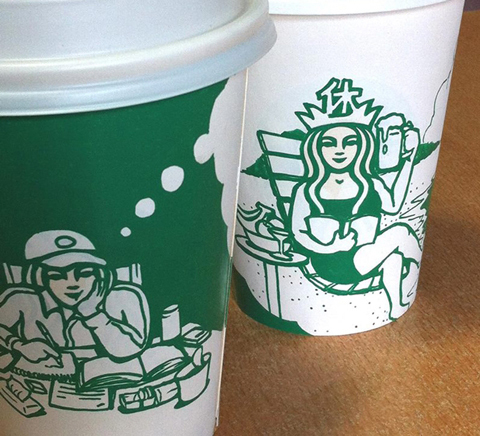 On one cup, the mermaid is punching someone in the face on the train. 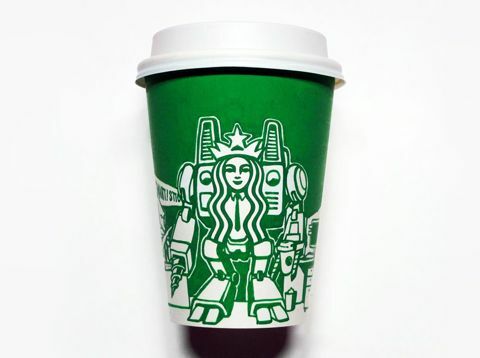 On another cup-turned-canvas, she’s turned into a Transformer. 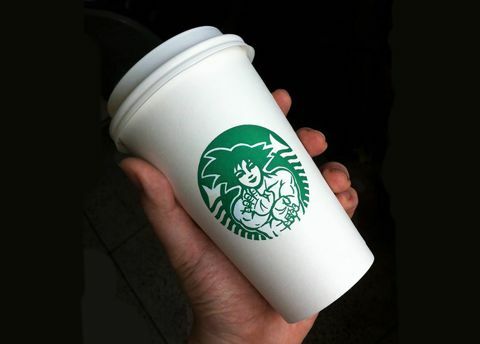 Kim often fuses the mermaid with pop-culture icons. Here’s Goku from Dragon Ball with the mermaid’s Mona-Lisa-like features. Into video games? 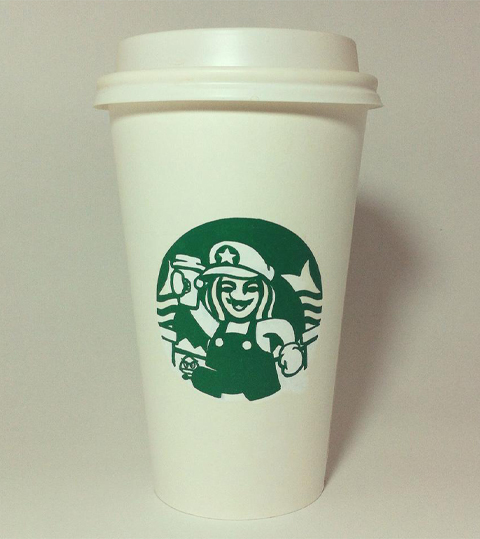 Check out Kim’s mermaid-ized version of Super Mario. 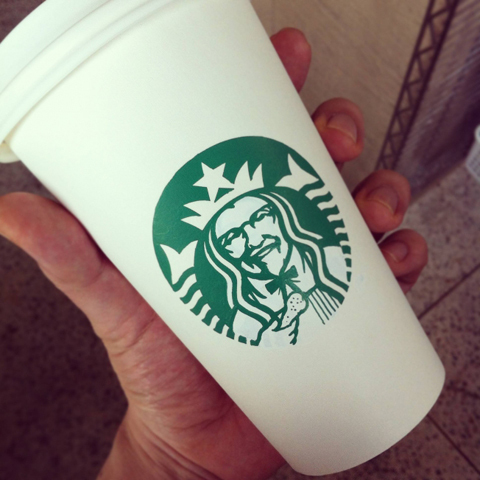 There are just too many awesome ones. Check out more mermaid art here.